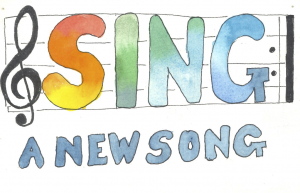 O sing to the Lord a new song; sing to the Lord, all the earth. Sing to the Lord, bless God’s name; tell of the salvation from day to day. All are invited to participate in our music ministry and find your particular niche for singing the song of God. The Balcony Choir is the primary choir leadership for the 11:00 am Worship Service. Rehearsals are Wednesdays 7:30-9: 00 pm weekly August through May. This 25-voice choir is open to anyone High School age and older. This choir sings a variety of repertoire and combines with the orchestra for concerts of major musical works. The Balcony Choir combines with the Atlanta Philharmonic Orchestra for our annual Holiday Concert in mid-December. For the current anthem schedule click here. Handbell Choir rehearsals are held Wednesday evenings at 6:30 p.m. This choir is open to all adults and Sr. High youth. Music reading skills are helpful, but not necessary. 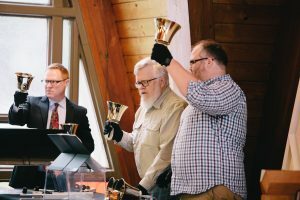 The handbell choir leads worship approximately once a month, and also plays for other special services. The Children’s Choir sings monthly at the 11:00 am Worship Service through the church’s program year. Rehearsals are held Sunday evenings 6:30-7: 30 pm, with a dinner prior at 6:00 pm September through May. All children Grades 1-5 are welcome. 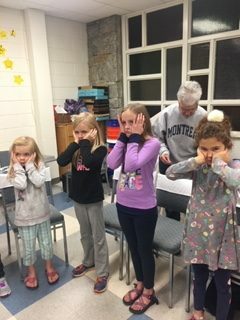 Learning to read music, singing techniques, sharing faith through song, learning about the liturgical year, and having fun are what this choir is about. For the current Children’s Choir schedule, click here. 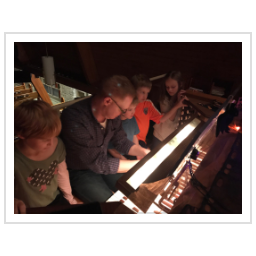 Our Zimmer Pipe Organ was completed in 2005 to celebrate the church’s 40th birthday, click here to view photographs of the organ, see some of the stages of its construction, and see a listing of the complete specifications. Dust off your flute, guitar, clarinet, trumpet, violin or bagpipe! If you play an instrument, we have a place for you! 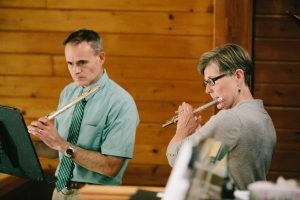 Many of our hymns, choral anthems, and other works can easily be enhanced with the sounds of additional instruments. Please let our Minister of Music, Clint Miller, know how you can add your sound! Music is integrated into all aspects of our worship and lives at NDPC. Our choir members enjoy a rich relationship with one another and our youth and children’s choirs sing multiple times a year during our regular worship services. Our music crosses cultures and generations as expressed in traditional hymns and global melodies. Our choir selections intentionally reflect our rich Presbyterian heritage as well as our expanding influence in the larger world. 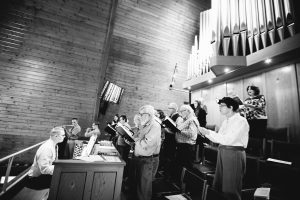 We maintain an open invitation to our choir rehearsals on Wednesday evenings at 7:30 pm.